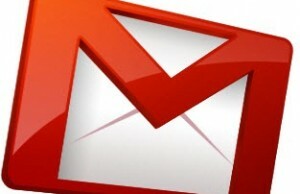 Gmail automatically saves all the email addresses to which you send mails. If you use to send emails from Gmail to limited number of people, then auto save email address options is really helpful. Think of a scenario where you don’t remember the exact email address of a person to whom you had already sent an email earlier but you can recall his or her first name or something to related to his or her. If the auto save option is enabled, Gmail will show you the complete address in dropdown once you will start typing the name in address field. But if you are use to send lot many emails a day and auto saved contact addresses are cluttering your contact book, you can now disable the auto save option. Actually auto save email address in Gmail contact may also clutter your Smartphone’s contacts if you try syncing these two. That’s why Google has introduced the option to disable the auto save sent mail emails addresses to avoid clutter contacts. To disable the option, go to the settings page of Gmail. Under “General” tab, you will find a box “Create contacts for auto-complete”. Check “I will add contacts myself” to disable the auto save option. Now Gmail will not save the sent email addresses automatically but you will have to save that manually if required. Apart from this new feature, Gmail team also added a “Refresh” button beside “More Action” dropdown link. Before this “Refresh” button, we were used to click on “Inbox” to refresh the Gmail page without re-loading the page. Regarding the new changes and added features in Gmail, read this update post by them. Gmail is definitely getting better and better each day and with lab features and added enhancements, its popularity is expected to grow in positive direction only.